Andrew Mitchem: Andrew Mitchem from the Forex Trading Coach and we're lucky to be joined by Omar today. Hello. Omar Ghais: Hi Andrew, How are you? Andrew Mitchem: Fantastic! Thank you. Could you just give everybody a quick introduction about yourself, where you live and what you do please. Omar Ghais: Sure! My name is Omar Diaz and I am currently living in Manila, Philippines. I am a full time sports trader where I trade on sports markets [INAUDIBLE] Which I have now been doing for four years and earlier this year [name] introduce a charge on their most successful customers where they going to be charging anywhere from 40 to 60 percent of your weekly winnings. As it is already fall into the category which already make 20 percent of our winnings. So 40 to 60 percent is way too much and which was why I am trying to move in to other instruments of trading and so Forex is one of the things I started looking at. I so continue to trade sports trading but I have gotten to Forex trading now as well. Andrew Mitchem: Okay thank you! And so did you have any other Forex trading experience prior to looking for my course? Omar Ghais: Absolutely, none works [INAUDIBLE] sports trader up until now. Haven't trade anything. No forex, no stocks, no markets. Yeah, Just run into Forex trading. Andrew Mitchem: Why was your decision to get into education? Why did you think you need forex education? 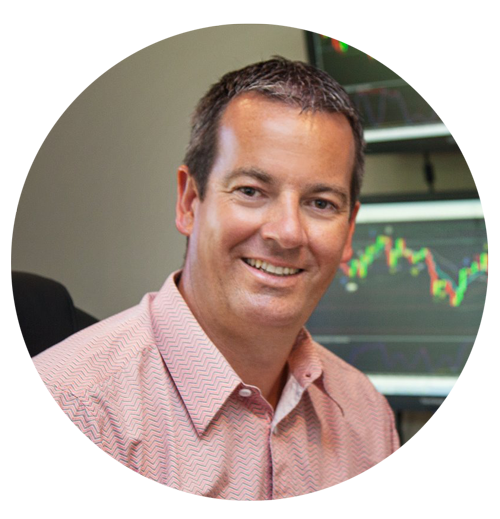 Omar Ghais: Well, one when I started sports trading, I felt I had a very good background in sports and being able to read sports and so I figured out a system on my own to trade. With Forex, I didn't feel that I have that knowledge. And so it was important for me to go out and to learn about how to trade Forex rather than to just out and lose money and so getting the right Forex education was important for me for that very reason. Andrew Mitchem: Okay, thank you. What made you decide to [INAUDIBLE] money and take my course. I suppose all the other courses out there on the Internet. Omar Ghais: Well, what I did when I started with Forex trading. I actually first bought an introduction, introductory guide kind a book on Forex trading which introduced me to a website called Forex Peace Army. I started going through the website and all the systems that were out there. And the first thing that stood out was the number of 50 or hundred dollar systems out there and that just didn't seem right. Because, I mean how successful can you be with that purchasing a 100 dollar system. Omar Ghais: So, it wasn't just the system I was looking for. I was actually looking for more often an education. And there were, I think two which I narrow down to. One was your course and one was another. And it was the five star rating that you had on your course which made me decide to part with that money. It was also the fact that it was not, not that cheap yet not that expensive. I think it was I did the video course which was about 2000 dollars, which were I thought if I spent $2000 in that education I was going to give it some time to make it work. If you spent a hundred dollars you're going to give it a try. If it doesn't work out move on to the next one, but when you spending it a couple of thousand dollars on a course. You're going to try and understand it, you will give it some time to learn it and hopefully it will work for you. So certainly, it was a combination of things which made me go for your course. First thing was also the feedback from a lot of the reviews left for your course look where how easily accessible you were. And I felt, had no background how that was extremely important where I wanted that someone was accessible where I had questions, where they can be answered. So those were the reasons why I went through your course. Andrew Mitchem: Great! Thank you. So how have you find the course so far? Has everything that you were expecting being fulfilled. Omar Ghais: So far, so far so good. Absolutely no complaints it's brilliant. The course was actually a lot simpler than what I thought it might be. So that was a huge, huge advantage. Your emphasis on money management was something that I really liked and I'm very strict with my money management in the sports trading. So that just struck accord right away. And from there it's been about learning to trade the markets obviously when you're starting off. You will tend to make mistakes, but I suppose you learn to your mistakes and your successes. And just over the last few months, everything is just now starting to gel together where I don't have to go through the checklist from a piece of paper where is downgrade when can I just look, look at the charts and I know what's a good trade and what isn't a good trade. So everything is starting to gel together and I'm really looking forward to Forex trading as the new year starts now. Andrew Mitchem: Fantastic! So the interesting thing with that is, you mentioned that I only offer a few months from no Forex trading experience. You now I feeling comfortable to be trading independently would that be a fair assessment. Omar Ghais: Absolutely! One of the things that I started to do right away was even though you provide the signals, the day trades every day. For my own education what I would do was I'd actually look at the charts first put down my trades and then compare them to yours. And so that's how it went from day one. That's I know that's something that you encourage yourself for your students to do. And yes I do feel I am you know few months on I am ready just to take full time by myself as well, Yeah. Andrew Mitchem: That's really good thank you. And obviously by saying that you've obviously got a timeframes that suits you around your lifestyle as well. So you feeling that you're trading for enjoyment and that's not tying you to computers or anything like that. Omar Ghais: Well, I actually because I trade sports, I'm sitting in front of the computer most of the time anything. And so I, when I started I did generally mess around with different timeframes. But I have just settling down on the daily charts and the hourly charts because with the hourly charts, you have to trade, take the trade once every hour if there is one. That gives me the rest of the time to continue my sports trading, in the meantime. I did as I did look at the shorter timeframe charts, as well. But I did that primarily because right at the start I was looking at just the major barriers maybe the Euro/the U.S. Dollar, the Pound/U.S. Dollar. I think was about five pair and when I was looking at just those five charts not enough candles would appear. Not enough trades would appear on just those four or five charts. And so I started looking at the shorter timeframes, the 15 minutes, the 5 minutes, 1 minutes. But as soon as I expanded my profile to do every pair that my broker offers. I'm now very comfortable in trading the one hour charts and the daily charts. Andrew Mitchem: So you're exactly the same as me then. Then that's my favorite, as well. Thank you very much for joining us today and I wish you all the success with becoming a full time forex trader.